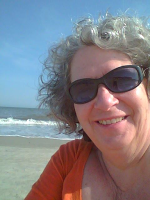 Marie is a Swanton resident and has an Associates degree in Liberal Studies. Her medium of choice is barn quilts using exterior latex paint. I was introduced to Barn Quilts when the Swanton Arts Council held a Barn Quilt Challenge. I thought it would be great fun and a tribute to my mother who was a fabric quilter. I use exterior latex house paint because the end result has to withstand the weather. I am inspired by the quilts my mother used to make and the many barn quilt patterns I have seen both in person and on line. 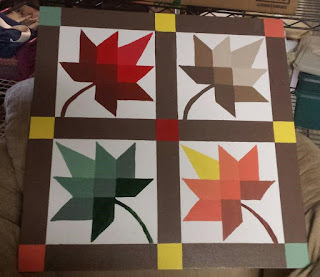 I was encouraged to share my art with others by my coworkers who loved the barn quilts I had made and wanted to make their own at a Paint and Sip party. 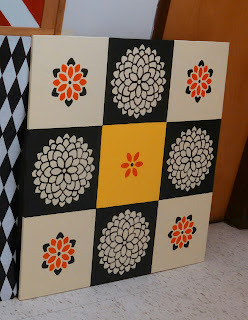 I have been having Barn Quilt Paint and Sips ever since.